You are here: Home / News / Smarter iPad Covers Soon From Apple? 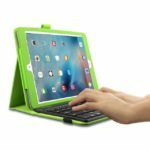 Does Your iPad, iPad Air, or iPad Pro have a cover? If you purchased an Apple iPad Smart cover from the Apple store, ask yourself why they’re really called smart covers. The only thing smart about these iPad / iPad Pro covers is that it wakes up the iPad when you lift the cover and puts the device to sleep when you cover it. Apple iPad designs its covers well. iFolks find these covers light weight, durable and come with a magnetic hinge that aligns the smart cove to the iPad. But we want improvements–and there’s a lot of room for that! 1 So, Not So Smart After All? 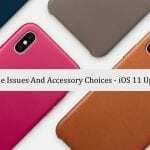 1.1 Let’s Get More Intelligent with Smarter iPad Covers! 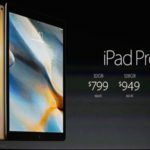 2 iPad sales on the decline? Will Smarter iPad Covers Change the Tide? So, Not So Smart After All? What happens when you get a notification and you have the cover on with the device in sleep mode? Isn’t it be better to see through the cover? We really want to see some of our most important display information, even when the iPad is covered. Today typical tablet accessories are passive in nature, the majority of which simply function to protect the screen, or perhaps support the tablet in some specific orientation. Let’s Get More Intelligent with Smarter iPad Covers! 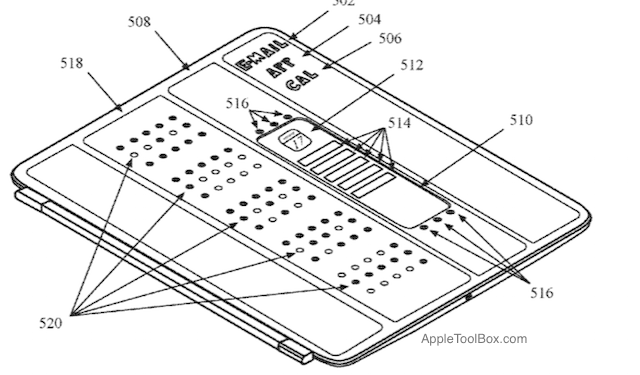 Apple’s latest patent, 20160379453, published on Dec 29th, hints that Apple wants to make the covers smarter, maybe even a heck of a lot more intelligent. 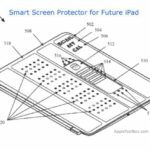 According to this patent, the accessory device covers the iPad and detaches easily much like the smart covers we have today using the magnetic hinge. Where it gets interesting is the introduction of new display on the cover. 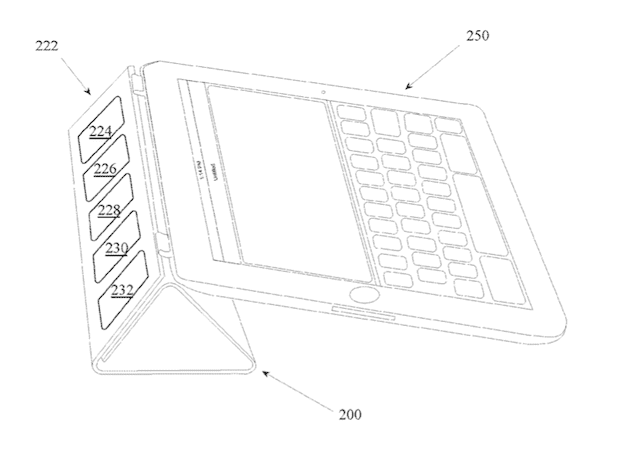 The new accessory will contain a number of illumination elements disposed across the flap and a connector configured to receive electrical power from an electrical distribution system of the iPad and a control signal from a processor of device. The received control signal will direct selected ones of the illumination elements to coordinate with each other to provide an illumination state. The new accessory will require a power source as well as a communications processor to get the data from the iPad. 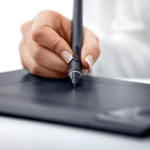 An active communication protocol between an accessory and a tablet device can be accomplished either wirelessly or through a wired data connection. For example, a wireless data connection utilizing the 5 GHz 802.11n protocol can provide sufficient data transmission bandwidth to transmit a high quality video stream along the lines of NTSC 1080p 30 fps video. 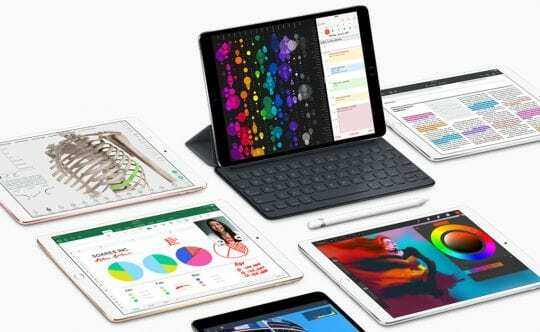 iPad sales on the decline? Will Smarter iPad Covers Change the Tide? 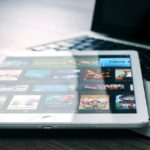 Apple, Samsung, Amazon, and other tablet vendors shipped a combined 43 million units in the third quarter of 2016, according to a report by IDC. These figures mark a year-over-year decline of 14.7 percent, and suggest that overall tablet sales are slowing. Apple’s iPad sales have also declined by 6.2% year over year. Apple will need more than a smart cover in order to renew interest in this product category and convince customers to upgrade. 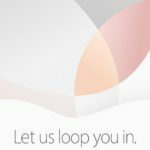 What features would you like to see in a new iPad before you decide to upgrade?